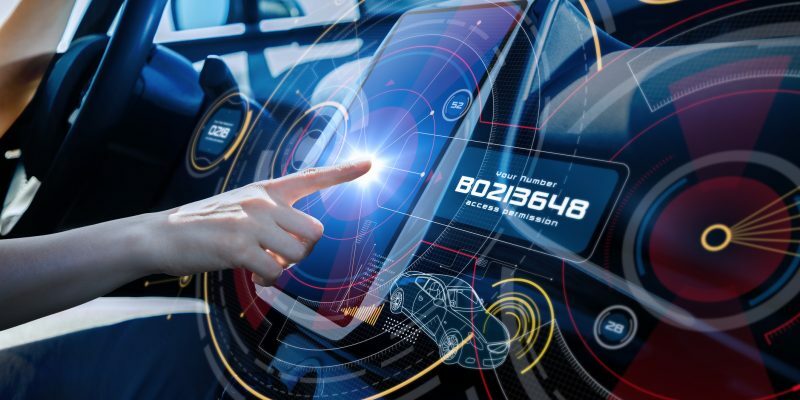 By 2023, 775 million vehicles will be connected through telematics or by in-vehicle apps, which means that spending on connected car commerce platforms could reach $265 billion, according to a new study released this week. Automakers should make in-vehicle infotainment systems accessible to third-party developers, according to an October 30 Juniper report. The analyst firm notes that by opening up these platforms, OEMs could broaden consumer options and spur growth of in-vehicle voice assistant use. The report also noted the development of third-party apps that allow vehicle owners to make in-car payments would be critical to market growth. Specifically, connected car commerce is forecast to exceed 8.2 billion transactions by 2023. Juniper recommends that automakers need to allow a range of APIs and development platforms into their vehicles, and the firm urged partnerships between OEMs, network operators and payment solutions providers. Developers specializing in navigation and mapping apps could be a particularly lucrative market. In June, navigation specialist TomTom and telematics firm Xevo partnered on an in-vehicle commerce experience utilizing TomTom’s navigation expertise and Xevo’s Market platform into vehicle navigation systems. The driver’s preferred stores and service providers are presented as Points of Interest (POI) through in-vehicle touchscreens and smartphone companion apps on a touchscreen. The platform uses the driver’s location and route to offer recommendations, retail locations and offers along the route, ranging from coffee pick-ups to fuel stops. “Until the market gains new entrants from outside the automotive ecosystem, the increase in transactions will be driven by convenience for the user, rather than the creation of new services themselves,” research author Sam Barker noted in the report. Barker explained by 2023, Juniper expects that in-vehicle commerce transactions will still be less than 1% of mobile and online transactions globally. For now, however, it seems automakers are only tentatively exploring these sorts of in-commerce apps, and with decidedly mixed results. In August, Dutch oil giant Shell and American car maker General Motors announced a partnership whereby Shell-branded stations across the US will now accept embedded, in-dash fuel payments. GM’s Marketplace lets drivers order and pay for goods and services – like their morning coffee – with a simple tap on the dash. However, an April report from IT analyst firm Strategy Analytics found that so far, GM’s efforts with Marketplace have underwhelmed customers. The Juniper report also forecast more than 370 million in-vehicle digital voice assistants will be accessed by 2023. In-vehicle assistants must be given access to the vehicle’s basic functionality, such as climate control, to offer an enticing alternative to the smartphone-tethered concierges currently on offer from Apple, Google and others, according to the report. While Juniper expects automakers will indeed increased access to vehicle systems, security of data and preventing driver distraction will remain the highest priority for OEMs. A June study from analyst firm Gartner L2 also indicated that automakers need to focus more on perfecting connected car applications as consumer expectations for vehicle connectivity grow. Connectivity has moved up the list of features consumers value, with 40% of those surveyed saying they would switch their car brand for more connectivity – twice as many as in 2014. The report, which benchmarks the digital strategies and performance of 43 auto brands operating in the US, features case studies on several automakers, including Audi, Ford, GMC, Hyundai, Land Rover and Volvo. — Nathan Eddy is a filmmaker and freelance journalist based in Berlin. Follow him on Twitter.